Late in 2006, Reliance Industries Ltd, India’s largest company by market value, started India’s most ambitious retail venture. The company, through its subsidiary Reliance Retail Ltd, planned to open around 3,000 outlets of its grocery outlet Reliance Fresh in addition to hundreds of stores of various other formats, ranging from health and wellness to jewellery, by 2011. On its heels, Chennai-based mid-sized discount retailer Subhiksha Trading Services Ltd expanded outside its home turf into the country’s north and west and flooded the market with hundreds of outlets in what the company termed a “carpet-bombing" strategy. Two years into the business, Reliance Retail has about 800 outlets and is planning to shut, resize or restructure about 200 non-profitable stores, as Mint reported on 7 November. We reported earlier, on 5 September, that Subhiksha had closed several stores amid accusations by vendors and staff that it had been withholding payments and salaries for months. Today, Reliance Retail is way behind target, according to a person close to the situation who did not want to be named. On top of that, the company is restructuring about 200 outlets—this includes closure, relocation or pruning, say officials. On 6 September, Mint also reported that Indiabulls Financial Services Ltd, which acquired Piramyd Retail Ltd a year ago and renamed it Indiabulls Retail Services Ltd, had closed four of the nine hypermarkets in New Delhi and Ahmedabad and fired hundreds of employees amid mounting losses. Indiabulls Retail Services has lost at least 90% of its stock value since January. On 22 September, Mint reported that HyperCity Retail Pvt. Ltd had abandoned plans to open about 250 convenience stores by 2012, while 6Ten, the grocery discount chain of basmati exporter REI Agro Ltd, had closed dozens of stores and fired employees. Future Group’s Pantaloon Retail (India) Ltd, which runs the Big Bazaar chain of discount stores, is perhaps the only company which has bucked the trend. Pantaloon’s revenue jumped 52% to Rs5,052 crore for the financial year ended June, while net profit was up by 5.1% (year-on-year) at Rs126 crore. Brokerage firm Angel Broking Ltd expects Pantaloon to post at least 30% growth in sales and at least 40% in net profit in the next two years. The situation was unthinkable earlier this year, with modern retail being touted by many as India’s next sunrise sector after information technology and telecom. In a 2007 study, think tank McKinsey Global Institute had predicted that consumer spending in the country, powered by the middle class, would quadruple from about Rs17 trillion in 2005 to Rs70 trillion in 2025. However, rising inflation, peaking at 12.9% in August, forced this middle class to tighten its purse strings as people looked for cheaper bargains. “The current financial and economic crisis affecting the rest of the world as well as India has certainly dampened consumer sentiment within the country," says Bijou Kurien, president and chief executive, lifestyle, Reliance Retail. “During such a period, consumers tend to be risk- and spend-averse. There is a tendency to focus on the basics and essentials and postpone spending on avoidable and discretionary items of expenditure." Consumer sentiment was further dampened by bomb blasts in different cities, including Jaipur, Ahmedabad and Delhi, over the past eight months. People kept away from the malls and major shopping areas where most of the branded stores are located. After the terror attacks in Mumbai on 26 November, retailers do not expect customers to come back anytime soon. The economic slowdown coupled with retailers’ other woes has stunted the overall growth of the modern retail business this year. Job losses, especially in the information technology sector which boasts of high-end spenders, will certainly affect consumer spending at high-end stores. Market watchers had predicted the country’s modern retail business would clock about 35% year-on-year growth. However, it will only manage to grow by 15% this year, according to Gibson Vedamani, chairman of Retailers Association of India. Strategy snafus were a major problem. Market watchers say new entrants ramped up stores underestimating issues, such as supply chain constraints and the complex mix of consumers in a nation of a billion people. For example, India had a total warehousing capacity of 81 million tonnes in 2006 and required an additional 35mt by 2012 at a cost of about $2 billion (about Rs9,800 crore) for the sustained growth of organized retail, according to a report by consulting firm Ernst and Young. “If people are in for the long run, they have to really be accustomed to manage it as they grow," says B.V. Nagesh, managing director, Shoppers Stop Ltd.
“Unfortunately, in other economies the incremental growth is very small, so incremental investments are not very high. In our country, most of us are still adding up 30% to 40% space and stores (every year) and therefore, unless we reach a steady state of growth, we will always face a tough situation." Shoppers Stop has suffered losses in two consecutive quarters, with the net loss in July-September at Rs18 crore. For the quarter ended June, the company posted a net loss of Rs21.35 crore. 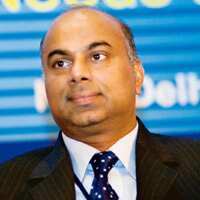 Agrees Raghu Pillai, president operations and strategy for Reliance Retail: “Obviously, it’s a new industry. There are considerable challenges on the supply side, executing it (strategies) across a country (such) as India is always a challenge... Given the speed and footprint that we were trying to establish, it was always going to be a challenge." Spiralling rentals added to retailer woes—rents constituted 10% of sales against the global average of 3-4%, according to Angel Broking. “One should agree there was a rush into retail pretty fast—people going agrabbing retail space two years ago," says Vedamani, adding that retail rents had shot up by 40% in the last two years. “Some of the big formats were too big for India," he says. 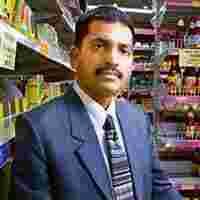 “An (ideal) Indian hypermarket is just about 50,000 to 60,000 sq. ft and you can’t open (a) hyper (market) that is three times bigger than the actual format… some of the new retailers have now understood that they cannot do that any longer." Agrees Kurien of Reliance Retail: “The current slowdown will give all players an opportunity to reassess their business models and structures and chart a rational and logical course which will lead to an increase in the pace of expansion." Reliance Retail certainly seems to have learnt; the company recently pruned the size of its hypermarket in Jamnagar, Gujarat, from 165,000 sq. ft to about 100,000 sq. ft. Similarly, Shoe Factory, a joint venture between Pantaloon and Liberty Shoes Ltd, which runs a chain of 18 footwear stores, has reduced the size of 10 (of its 18) stores from 10,000 sq. ft to about 2,000 sq. ft and rented out the space to other retailers in the past few months. Pantaloon has also closed some unprofitable Big Bazaar hypermarkets. “Whether on the salary front, or on the hiring front or lease rentals, there have been a lot of excesses that have happened in the past," says Pinakiranjan Mishra, a partner with Ernst and Young. “So the industry will use it as a learning (curve) for the long term." Retailers are now renegotiating rentals even for spaces signed up two years ago because rents have for the first time started coming down. Many retailers have stopped signing up for new properties and some, including Pantaloon and Vishal Retail Ltd, say they will opt for more revenue sharing with landlords than rentals. “It’s better in revenue sharing because rentals add to costs and in revenue sharing, whatever I am earning I am parting with it," says Ambeek Khemka, group president for Vishal Retail, which has stopped taking space on rent. The company is taking the franchisee route for all new stores to bring down establishment costs. In addition to this, retailers are now looking at longer credit periods from their vendors. With the focus shifting from revenue growth to protecting margins, pruning staff is another strategy. Retailers are bracing for the worst. “This is just the tremor and (the) actual thing is yet to be seen. That’s what analysts are saying and that’s why people are going in(to) a saving mode," says Khemka of Vishal Retail. “Consumers are actually going into a saving mode and sales are going down." “We expect the slowdown (in the economy) to continue until March 2010," says Nagesh. “At the end of the day, (the) general economy is highly dependent on the retail economy. Until consumption happens, money will not get circulated, so consumption is (the) key." Others, however, are hopeful, saying this is just one bad cycle. It remains to be seen whether the cut in excise duties announced by the government on 7 December will boost consumer spending. The wholesale price index, too, was down to 8.4% for the week ended 22 November on the back of lower prices of non-administered fuel products and certain manufactured food items. One thing everyone, from retailers to market watchers, agrees on is the potential of the market: If companies get their models and strategies right, the opportunities for branded stores are huge. A recent report by McKinsey and Co. said organized retailers account for less than 5% of India’s retail business but the figure is expected to swell to 14-18% of a projected $450 billion market by 2015. Kurien points out there is no fundamental error in evaluating the size and growth opportunities in the sector. “The total share of modern trade is less than 5% of the total retail market and the opportunity to drive growth and gain share is tremendous. As with any business, a sound model which governs the business is a prerequisite for success and those players who have assiduously built their business on such models will survive and thrive," he says. “The optimism for retail and opportunities in India always remain," says Pillai. But, “The challenges are equally daunting." Jharna Mazumdar contributed to this story.